PROForensics works closely with legal professionals including law firms, solicitors and barristers in relation to certain disputes concerning Insurance Claims. Where there is a dispute over what is covered by an insurance policy or the value or an Insurance Claim, PROForensics provides financial advice and expert witness testimony to help you. Our insurance qualifications and extensive experience in settling large complex commercial insurance claims combined with our forensic accounting capabilities enable us to provide a superior expert service to you. We carry out our reviews in a timely and professional manner. We assess the financial strengths and weaknesses of your case and that of the opposing party. We issue recommendations and this may involve participation in Meeting of Experts to identify and value the issues in dispute. Where necessary we provide expert witness testimony in dispute resolution proceedings and at court. Contact us today if you require this specialist service. 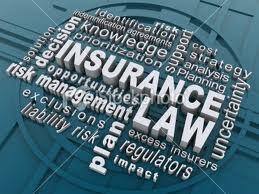 When legal professionals are involved in commercial disputes, PROForensics calculates loss of profits arising from the insured peril and subject to the parameters of the insurance cover. In forming the basis for our assessment, we carefully review the insurance policy terms and conditions, historical performance, market and industry data, constraints and other business and economic factors to evaluate the financial consequence from the insured peril. Our involvement can range from an initial assessment of the strengths and weakness of the case to acting as an expert witness in Court. PROForensics helps us in calculating loss of earnings and benefits for both past losses and projected future losses. We can assist in settlement negotiations and, if the matter proceeds to litigation, we often provide expert witness evidence for Court. PROForensics can assist in subrogation actions on behalf of insurers, insured’s and third party defendants.